It is definitely not an understatement that immigration and refugee law changes have continued to take the centre stage of legislative activities in Canada. Immigration and refugee law practitioners and consultants must be aware of all these recent changes and their implications on their practice. 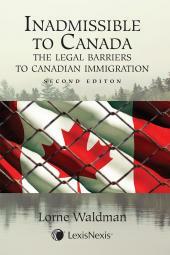 Canadian Immigration & Refugee Law Practice, 2019 Edition provides you with an overview of the new legislative framework of Canadian immigration and refugee law along with guiding principles for the exercise of discretion by the Immigration and Refugee Board. The book captures the latest legislative updates and case law, with extensive commentary on the implications of both the recent and pending changes. 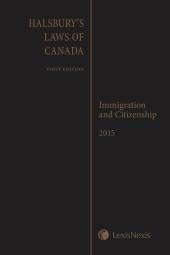 This invaluable reference for immigration law practitioners and consultants also provides close to 2000 thematically organized case digests from the IRPA and the Citizenship Act, and key sections of the regulations, rules, and related legislation. Plus, the book also includes an unannotated version of the Act in double-column English and French, making it easy to locate a section of legislation when representing a case.